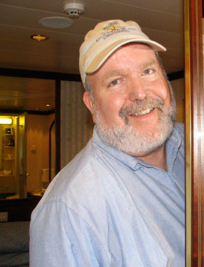 James P. Reber has been raising funds and producing fundraising events and special events for over 30 years. leader in the nonprofit community of Silicon Valley. Mr. Reber works with organizations large and small and provides many fund raising consulting, special event services, and many other services to the community. The CLASS became the BOOK. It's Here! Creating A Signature Event, the book, is now ON SALE! 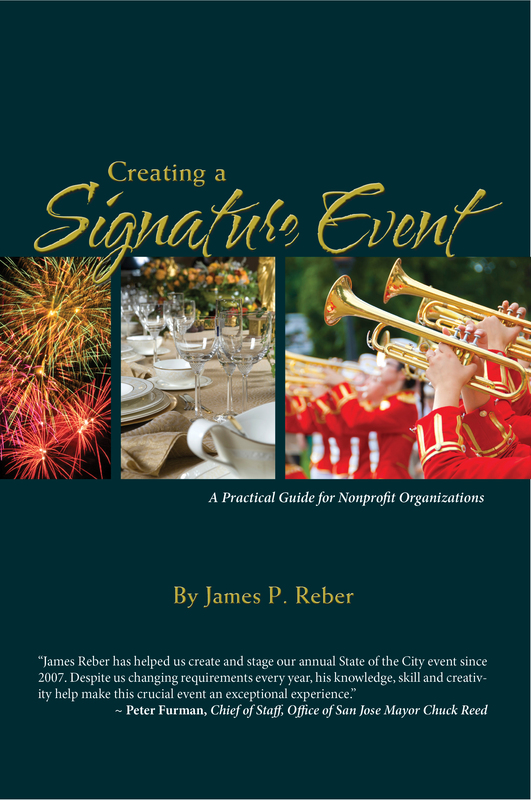 James P. Reber has finally completed the book that details his method for creating the most special of special events � the Signature Event. 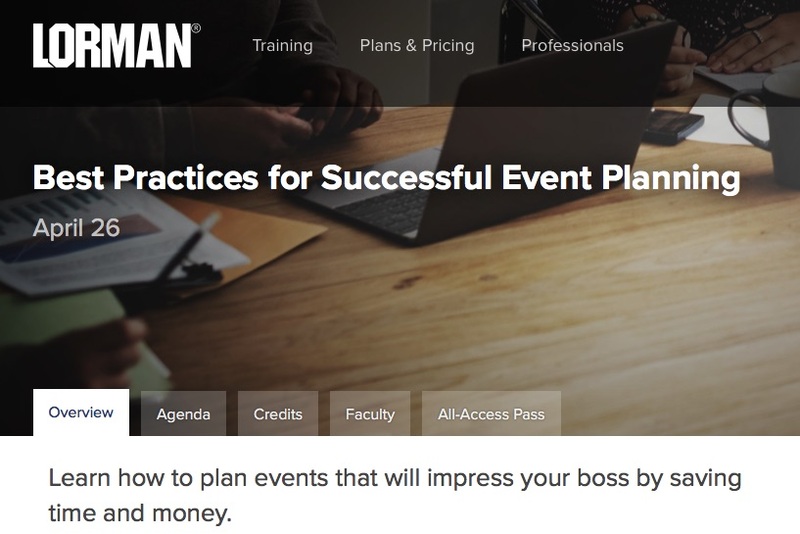 Designed for practical use by any nonprofit or small group that wants to have a successful annual event, the book is now available for purchase and ready for shipping. You can buy a copy now at a special introductory discounted price through March 31, 2017. James P. Reber is a professional Fundraising Consultant and Special Event Producer with over 30 years experience in the nonprofit sector. He provides a wide variety of fundraising consulting and support services, and has raised over $25 Million for nonprofit clients and organizations in the San Jose/Silicon Valley area, where he is based. James P. Reber has been a positive force in the Bay Area nonprofit community for over 30 years, Founder of a handful of nonprofit organizations, expert fundraising consultant and special event producer for a variety of nonprofit causes. As a leader in the nonprofit community, his efforts have helped raise millions of dollars for an array of charities, large and small, and he has produced some of the largest and most innovative special events in the Bay Area. Mr. Reber has followed his own vision in creating a few important nonprofit organizations (including San Jose Repertory Theatre), he has produced over 200 special events of every size (from an exclusive $2,500 fundraising dinner for a few to the opening of the San Jose McEnery Convention Center that drew over 100,000 people). His knowledge and creativity have led to repeated successes in a variety of projects, special events and in his fundraising consulting business, and he has guided and supported others in achieving their own success. Mr. Reber is entrepreneurial by nature and offers a very special kind of leadership for nonprofit organizations of all sizes. He has rightly earned a reputation as a professional fundraising consultant who takes on difficult projects that many others would not undertake. The results and the reputation speak for the tenacity and energy with which he approaches every project. In the area of fundraising events, he is surely one of Silicon Valley's most experienced and successful event producers. Named to the Millenium 100 (the San Jose Mercury News listing of people who contributed most to the shaping of Silicon Valley in the Twentieth Century), he is dedicated to performing the highest quality work and to helping build a better community for tomorrow. As a fundraising consultant, he has worked with a wide variety of nonprofit organizations, including dozens of arts organizations in San Jose and Silicon Valley. Mr. Reber has expert insight into the Silicon Valley community in particular and the Bay Area in general. He has been engaged as a fundraising consultant to train boards of trustees, development staff, marketing professionals and volunteers in a variety of important skills needed for success, especially in the area of fundraising events.